One of the most stressful parts of moving (and let’s face it there are many stressful parts), is the effect it can have on your work day. Moving is disruptive and usually takes place during work hours or on a weekend. This often makes people consider moving themselves, but that is more hassle than it’s worth. When it’s time for your next move call New Jersey’s favorite local mover: Affordable Moving & Storage, your neighborhood after hours movers. That’s right! We now offer moving services after 5 pm. Don’t worry about taking time off work or finding a different way to get the kids to and from school. Even better, you won't have to lose a day of your weekend! Why Choose Affordable Moving & Storage? We’re Local. We live and work here in New Jersey. That means we can perform multiple moves a day including after hours. 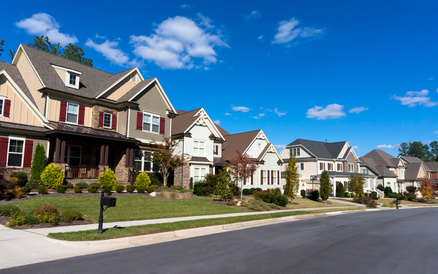 We know New Jersey and nearby bordering state’s residential areas including apartment complexes, suburbs, and 55+ communities. We work on your schedule. It may be tempting to recruit your friends with promises of post-move pizza and beer. But you’re limited to their availability and working with people who are not trained and do not have the proper equipment to help you move. You’re also stuck coordinating work and weekend schedules to make it happen. We are experienced. We have the training, skill and equipment to protect your items. That means no damage to your property, walls, floors, or doorways. We save you money moving items quickly and without damage. We are moving professionals. We do the heavy lifting. 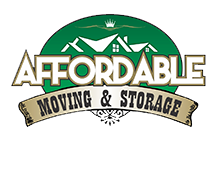 Affordable Moving & Storage quickly assesses the needs of your move and determines the best game plan. Your buddies from work might be willing to haul a couch up the stairs, but what if it doesn’t fit? Can they safely hoist your sofa though a second story window? Probably not. But, we can! Small Residential Moves. Whether you’re moving the contents of an apartment or even just a few items within your home, we’ve got you covered. We can safely relocate all of your belongings, no matter how fragile, heavy, or difficult to maneuver. Small Business Moves. Our after hours moving services means we move your small business with minimum disruption. Other Small Moves. Even if you only need a single item moved, we’re available to help. We can safely move pianos, refrigerators, gun safes, exercise equipment, and other items. Need a room rearranged for staging or selling your home? We do that, too.